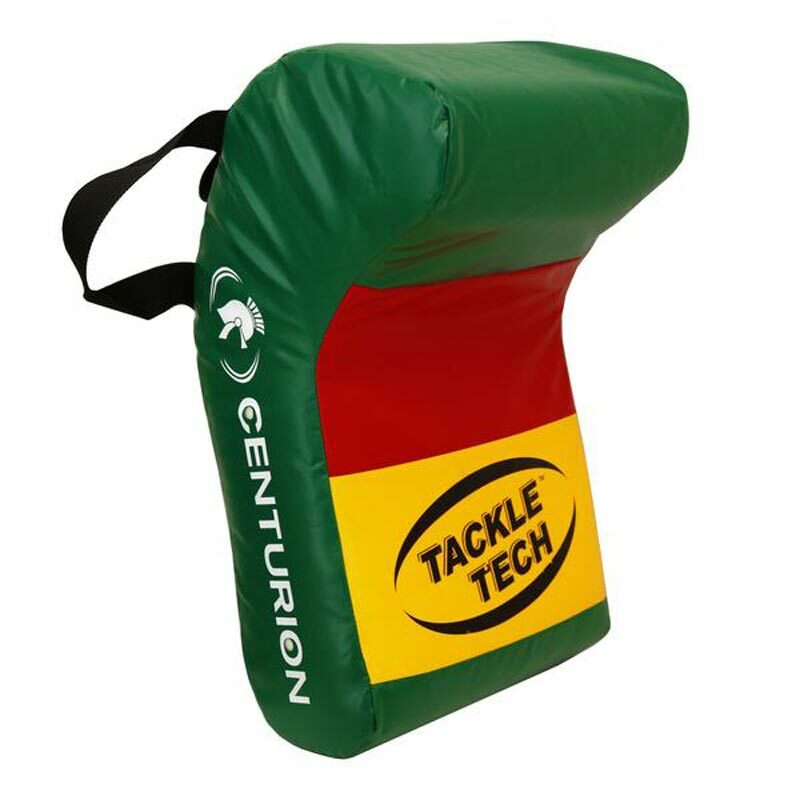 The Centurion Tackle Tech Jammer Pad is a multi purpose pad that can be used for tackle technique and ball carrier contact drills. The unique shape of this pad allows it to fit around the holder while maintaining a strong positive body angle/lean in all contact situations that provides the maximum amount of resistance to players working on the pad. 3 colour coded contact zones - Green lip of pad simulates the ball, red zone is a tackle underneath the ball and the yellow zone. The contact zones can be used as targets for players to aim at for leg drive drills and also play the ball drills. 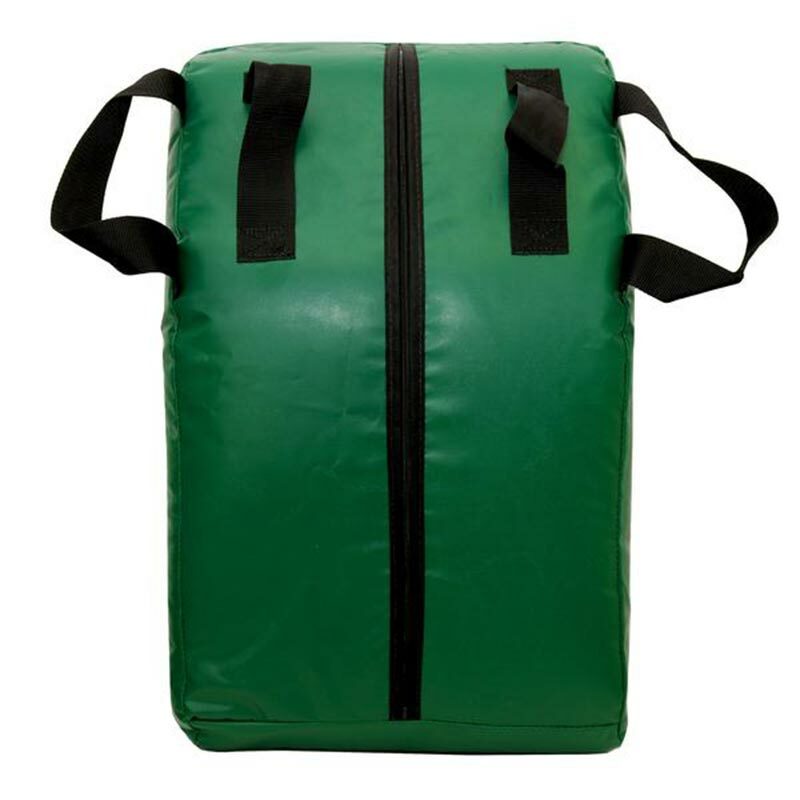 Has a conditioning strap across the top of the pad, which will allow the pad holder to raise or lower the angle or height of the pad to suit the individual or drill. 40cm x 17cm x 64cm. Great item to work on different contact points, ideal for all development of tackle contact. Well made, double grips for extra hold.